Scheduled balancing >24 hours apart? 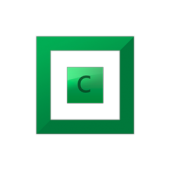 - General - Covecube Inc. Scheduled balancing >24 hours apart? Looking for a hack to make this work, otherwise I hope this could be added some day. I'd like a way to balance less frequently than 24 hours (once a week would be ideal,) but still at a scheduled time (1:00AM) to coincide with my SnapRAID sync schedule. BTW, not worth an extra post, but does DrivePool balance the recycle bin!? Is there a way to make it ignore it? There might be 100's of GB in my recycle bin at any one time. ﻿ I'd like a way to balance less frequently than 24 hours (once a week would be ideal,) but still at a scheduled time (1:00AM) to coincide with my SnapRAID sync schedule. You could use the "balance immediately" and the "not more often than every" options. Set it to about what you want. Then .... if needed, script the service to be restarted at the time you want balancing to occur. That .... should work, I think. But don't quote me on that. Yes, it would balance the recycle bin on the pool. However, depending on your pool..... balancing shouldn't happen too often. All of the default balancers are more of "edge cases. Sothey shouldn't cause balancing to happen, most of the time. Almost positive Recycle Bin is part of "Other" data, which is stuff not managed by DP. So it shouldn't get balanced. The hidden/system $RECYCLE.BIN folder is at the root of each disk, so is outside the DrivePool folders. Each physical disk has a recycle bin outside the pool. The pool has it's own, inside the drivepool data folder. That's the one I'm fairly certain Drivepool spends time balancing. script the service to be restarted at the time you want balancing to occur. That's actually a great solution. Would DP be clever enough to handle the process being stopped during a write or something? It's definitely not worth breaking anything. However, depending on your pool. Yeah, it really only comes up because I have a lot of folder placement rules which make my drives unevenly balanced. Almost wasn't even worth mentioning, but I figured i may have overlooked an option to ignore it. Yes and no. The service and the driver are two completely separate things. stopping the service does not unmount the pool. So the pool will continue to work just fine. There are some issues that can/will occur if you leave the service off, but just restarting it shouldn't be a problem. And yes, the service should stop any balancing/duplication/what not, if it's in the middle of something. Even if it doesn't, the service appends ".COPYTEMP" to the file name when moving/copying files, so if something "does happen", it won't cause issues. Scenario: Low powered server & download box. Want to order tasks to avoid them running at same time. e.g. Download queue empties so then execute Balance to move files and then execute SnapRAID to update. Q1: How can I call the DP Balance function (with DP running all the time) just when the Download queue is empty (the downloader can identify and script calling once queue is empty)? Q2: Once Balance is complete how can I then call to SnapRAID to do its stuff? DPCMD.exe (from a powershell script) would be the way to do this, except I can't find a re-balance command among it's documented list. You'd run this command, wait for it to finish & issue a pause x command (or simply pause for x minutes if it terminates immediately), then the command(s) for SnapRAID. Perhaps Christopher/Alex has more information on whether or not dpcmd can trigger a re-balance. However, if you have automatic on-the-fly balancing turned on, there should be little need to constantly re-balance the pool. In fact - I find it detrimental to do that regularly, since it actually hurts the way SnapRAID works. The more things SnapRAID has to re-calculate parity for (every time a file is moved it has to re-calculate across all files that moved/deleted file was linked to) the more work it does, and the greater a chance it will bomb. Point in case: I recently upgraded a few hundred tv shows from 720p to 1080p, and the combination of deleting of the old and adding the new actually caused SnapRAID to error out and never finish. I had to delete all .parity and .content files and have it run a completely fresh parity build. So from that perspective, if you have a higher number of additions/removals on the pool, I'd just let DP balance real-time instead of forcing it on a schedule. Run manual re-balances during low activity times seems like a better course of action. I only have experience with your second question. If you figure out Q1 you could probably just use it to trigger my solution to Q2. - you can also have it email you with a list of added / removed / updated / restored files after every sync if you so desire. I'd never touched powershell prior to configuring the scenaro above, and now I use it for all kinds of cool stuff. It's worth giving it a go. I've certainly no idea what SABnzbd is, but I'd personally configure DP & SR to run at the same time each night, and configure your DL client to pause your download or post-processing queues for however long it typically takes. And I personally use the SSD Optimizer plugin for DP, so even if files get added to the pool while SR is running, they simply get placed on the SSD, which SR doesn't care about, until the next balancing pass. @Methanoid Yeah, there is no command to trigger a balancing pass, from command line. Unfortunately, the software really isn't designed to work that way, so what does exist has been added on slowly, and may be incomplete (eg, definitely is). And as has been mentioned, there is the "RunningFile" thing. However, the file is created for any task. That's balancing, duplication, measuring, etc. But that should be fine for your case, I think.